It’s a difficult market out there for phone manufacturers, as everyone is aware that 24 month contracts aren’t very desirable in these harsh times. In response to this, Sony Ericsson have released details of two budget handsets. 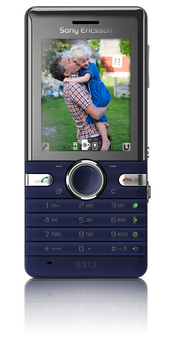 The S312 is probably the most feature packed of the pair, with a 2 megapixel camera, 2.5x digital zoom and photo editing software pre-installed. They’ve included a light to make sure your snaps come out clear and have tried to simplify the photo process with dedicated buttons for editing and uploading images. The phone uses GSM/GPRS/EDGE and offers you up to 8 hours of talk time, and weighs in at 80g. 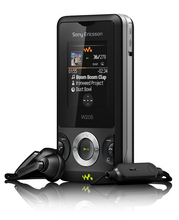 They’re also offering us the W205 which is designed to be a phone for music lovers. It combines basic features (1.3 megapixel camera/1.8 inch screen) with track recognition software, shuffle and loop mode and memory card support up to 2GB. It’s 16.4mm thin and weighs 96g. Design wise they’re nothing new and if you’re an Ericsson user you’ll find the phones very familiar. They’ll be out later this year and I expect them to be attractively priced for the PAYG user.